It's that time of year when the nasty germs start making there way around. Do you have a friend or family member who had been suffering these past few days? 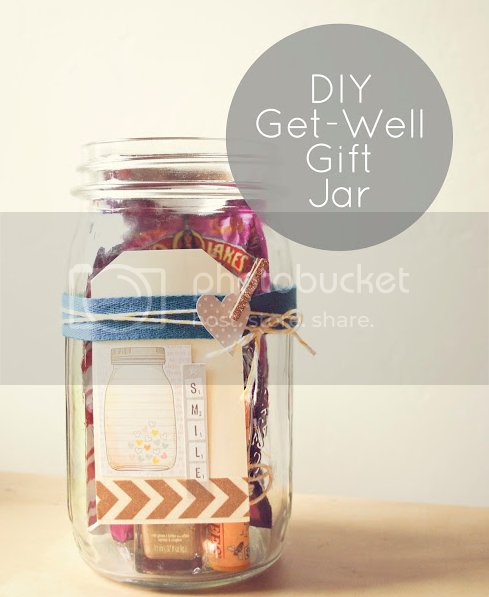 Why not make them a Get Well gift from the heart. Perfect for soothing sore muscles. 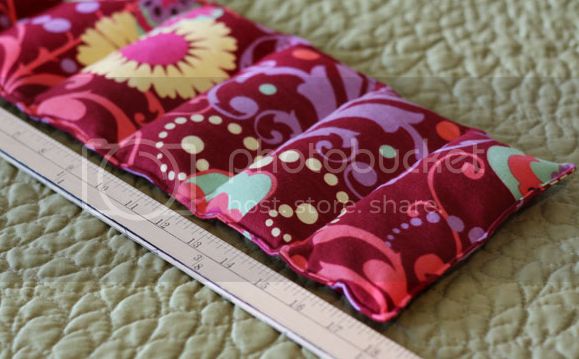 All you need is some fabric, rice and a sewing machine. I love drinking tea but I definitely drink it even more when I am sick. 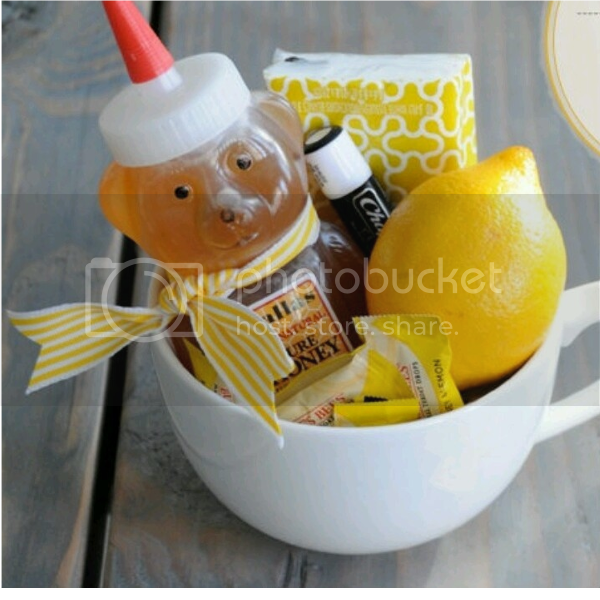 This adorable gift would be perfect for any tea lover who is feeling a little under the weather. Fill an over-sized coffee mug with tea bags, honey, lemons, Kleenexes, chap stick, and throat drops. This gift was actually intended as a teacher's gift but when your sick, it is important to drink lots of fluids so I think it would make a perfect 'Get Well' gift also. 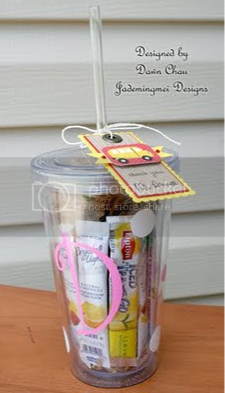 Fill it with flavored water packets, tea bags, instant apple cider, or any other drink mix you can think of. This little gift is so simple to put together. 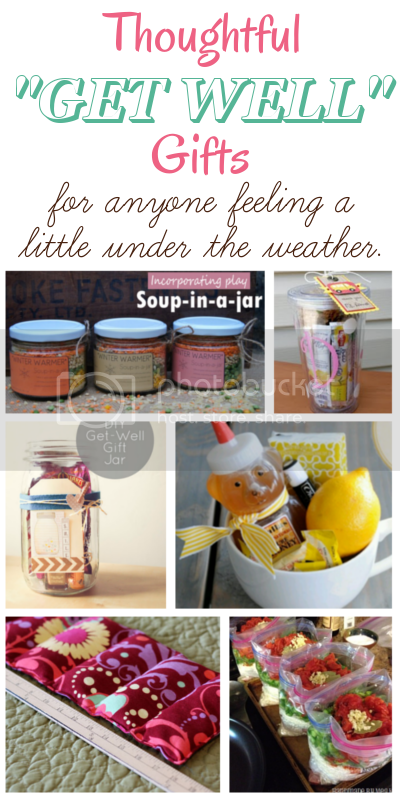 Use a mason jar or any other jar you have on hand. Toss in some Kleenexes, chapstick, tea bag drink mix, cough drops, honey, some cold medicine. and whatever else comes to mind. 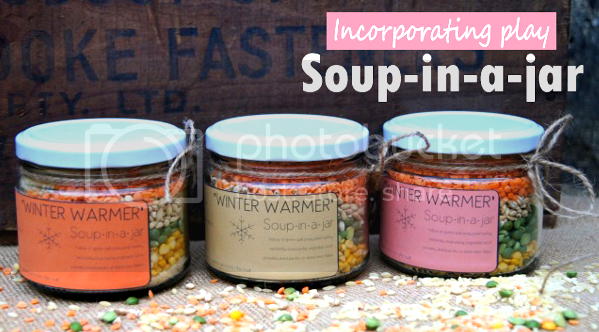 A good bowl of soup can make anyone feel better. But who wants to go through the trouble of making it when their sick? With this delicious blend, all you have to do is add water and boil. The last thing you want to do when you are sick is cook a meal for your family. This would be the perfect gift for a sick mother (or whoever is in charge of cooking for the family). 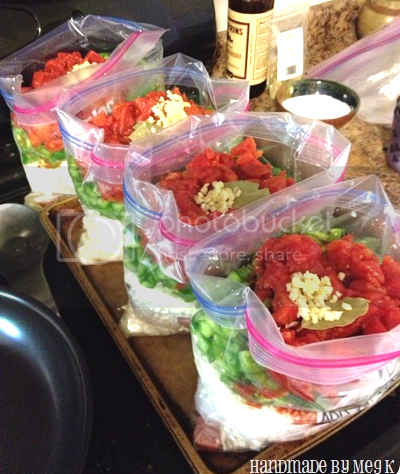 All you have to do is toss the ingredients into the slow cooker in the morning and it's ready by dinner time.